The latest NADIS parasite forecast highlights the importance of taking an integrated approach to parasite control in lambs to reduce the risk of disease now and later in the season. The importance of including rams in the overall parasite control strategy; and the risk of lungworm in cattle. “Given the high risk of nematodirosis in many regions of the UK this year, lambs grazing contaminated pastures will almost certainly have been treated, often with a Group 1 anthelmintic,” says Sioned Timothy, veterinary adviser for Merial Animal Health. “However, Group 1 products may not be as effective against other nematode species and additional treatments may be necessary to prevent disease, reduce the impact of worm burdens on growth, and minimise the number of eggs shed onto pasture. 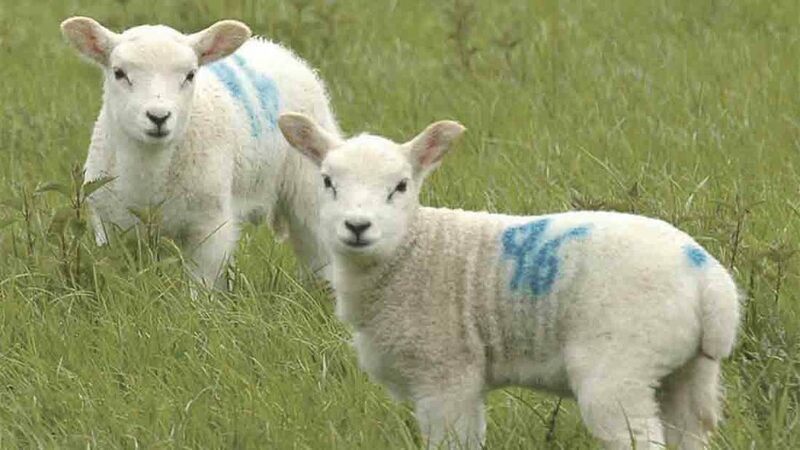 Any lambs grazing ‘safe pastures’ should not require anthelmintic treatment until they are three to four months old. Safe grazing includes pasture not grazed by sheep last year, reseeded leys, and any ground not grazed by sheep until mid-summer such as aftermath, where parasite contamination from last year will have died off. Ms Timothy says: “Safe pastures are an important component of your farm’s sustainable parasite control and should be used to best effect to reduce the parasite challenge posed to at-risk lambs, reducing reliance on wormers. In cattle, lungworm may appear from June onwards in unvaccinated calves, those not subject to strategic worming programmes, and in naïve adults. Early signs include coughing and an increased respiratory rate. In some outbreaks losses due to severe respiratory disease can occur, but the major impact of lungworm is on growth, condition and productivity. Strategic early season treatment of cattle will reduce the risk of parasitic disease due to nematodes throughout the grazing season, however it’s important to ensure cattle remain set-stocked on the same pasture for the entire grazing system, or move to safe grazing such as silage aftermath to ensure season long control.